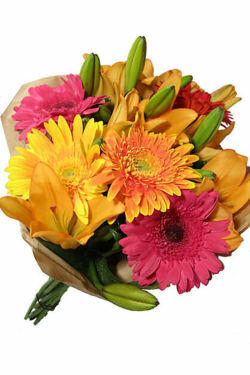 A bright bouquet to celebrate a brighter future for children with the help of Berry Street. With more than 340,000 reports of suspected child abuse and neglect across Australia each year Berry Street is sorely needed. They help children and young people recover from abuse, keep women and their children safe from family violence, and assist struggling mothers and fathers to be the parents they want to be.